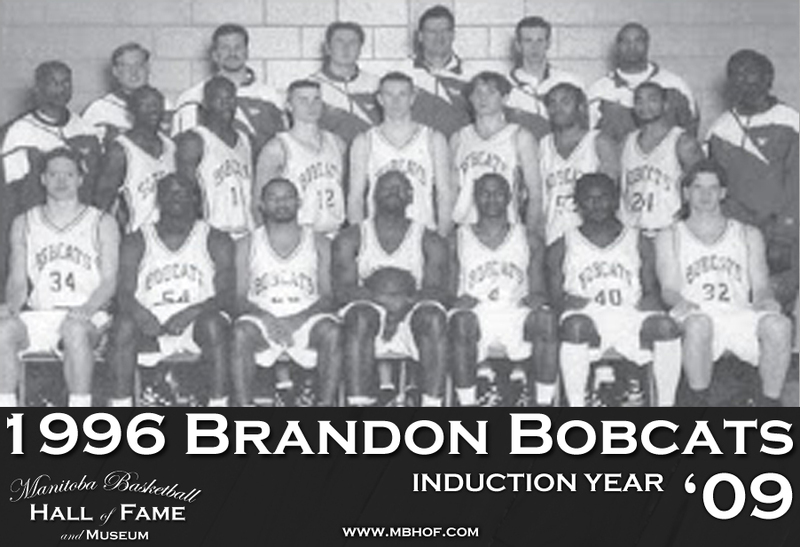 The 1996 Bobcat men's basketball national championship team will proudly celebrate the 20th anniversary of their amazing accomplishment by being inducted into the prestigious Wall of Fame. 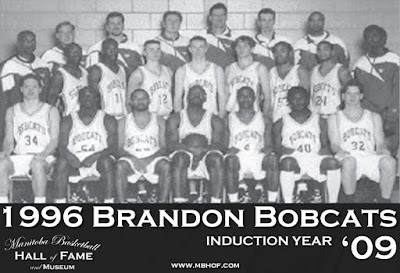 The same team was inducted into the Manitoba Basketball Hall of Fame in 2009. 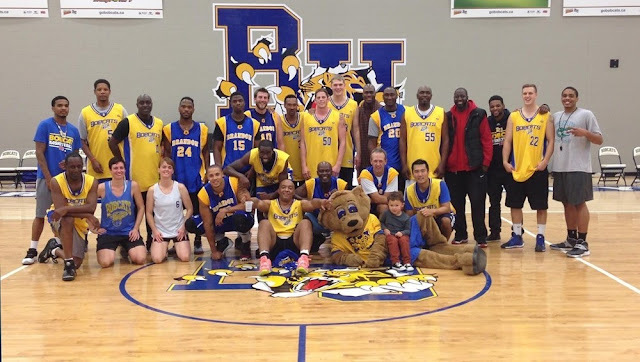 Legendary coach Jerry Hemmings (MBHOF Class '07) guided the Bobcats to their fourth national title in ten years by beating the Alberta Golden Bears in the final. Brandon's own Jason Scott led the way with a team-high 16 points for Brandon. "It was truly a team effort to win the 1996 national title," said Scott. "I grew up watching the Bobcats win national titles and my goal from junior high school on was to make the team and bring home a national title and I am so grateful for that opportunity." "The Hall of Fame, to me, is the highest honour that you can receive in sport," said Hemmings. "Enjoy the weekend, enjoy the pats on the back and the accolades of what you accomplished." Scott, Roger Martin, Garfield Parke, Larry Dudevoir, Mark Plamondon, Tex Phillips and Greg Walker are among the confirmed members of the 1996 national championship team that are returning to reunite. Former all-Canadians Keith Vassell and Shawn Gray will also be enshrined as individuals. Vassell was MVP at the 1996 national championship, while Gray was a tournament all-star. Brandon College Cap hockey/football standouts Alan Murdoch, Glennis Scott and Allan Robertson will also be immortalized, along with Roberton's daughter Kerri Hayhurst. Hayhurst was MVP of our women's basketball team in all three years she played and was recognized as a Great Plains Athletic Conference all-star in her final season. "It is an honour to be recognized and it is even more special to be recognized with my dad," said Hayhurst. "I am very proud of all that he has accomplished and very thankful that he has instilled in me the desire to succeed. I would not be getting inducted if it were not for his strong influence and never-ending support." Rounding out the rest of the induction class is curler Mike McEwen. McEwen and his BU rink hosted and won the national championship in 2002. The McEwen foursome featured Geordie Hargreaves, Sheldon Wettig and Dean Oakden. The following year, McEwen skipped Team Canada to a gold medal at the World University Games in Italy. The Canadian squad included Wettig, current teammate Denni Neufeld, along with Brier and world champion Nolan Thiessen of Brandon. "Curling is a game where a lot of experience matters. Competing with a lot of good teams at that age level, it opened up a lot of opportunities," said McEwen. "When you accumulate it all together, it gave me a lot of experience as a young curler looking to break into the adult ranks." McEwen's marvelous curling resume now includes a 2016 Manitoba provincial men's curling championship, which earned him a trip to the Brier. The 2016 induction ceremony is Saturday at 9:30 a.m. at the Victoria Inn Imperial Ballroom. The night before the Wall of Fame ceremony, a men's basketball alumni game will be held at 5:30 p.m. at the Healthy Living Centre. Former all-Canadians John Carson and O'Neil Gordon are going old school along with a host of other Bobcat greats. After the nostalgic contest, the current men's basketball team will take on their longtime rival the Regina Cougars at 7:30 p.m. in a tune-up for the start of the Canada West season. 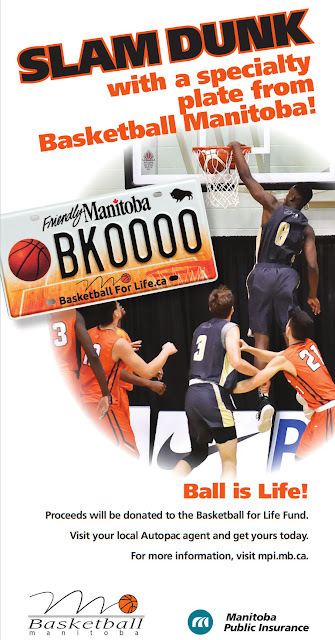 "It is a great way to recognize the strong tradition of excellence in basketball at Brandon University and we are looking forward to having a good game against Regina," said coach Gil Cheung. "The tradition of excellence has influenced a lot of our players to come to BU. It is only our third game and it is still the pre-season and we still have a lot of kinks to iron out, but we are looking forward to the opportunity to improve and get ready for the regular season." The alumni game, pre-season contest and Wall of Fame induction celebration coincide with Homecoming at Brandon University. 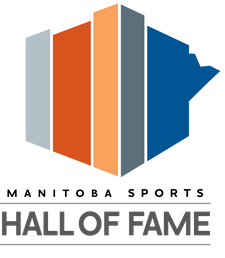 The full biographies on the 2016 Wall of Fame inductees can be found here.